Modern retail businesses are beginning to align their eCommerce sites with other core functionality in order to grow their business and connect with customers. Having various systems that don’t always work well with each other creates the opportunity for redundancies and wasted effort. As a business owner, you consider how to seamlessly tie omnichannel commerce with financials and inventory together into one business platform. 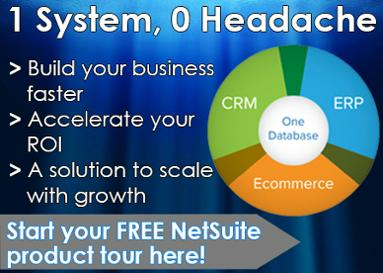 Thousands of businesses use NetSuite’s eCommerce module as their eCommerce software. This solution can bring your B2C, B2B, online, and off-line commerce all under one umbrella. Users can expand globally by managing multiple sites and brands, allow businesses to design a highly responsive customer website experience, and transform their online presence. Ability to design functional, responsive websites that can be used to enhance shopping on tablets, smartphones, laptops, and desktops gives customers a positive and efficient way to make purchases online, from anywhere. Expanding globally is made easier through this addition to the platform which supports multiple countries, languages, currencies, and tax rates. NetSuite’s cloud-based solution allows business to keep up to support growth, reduce costs, and increase efficiency while providing 24/7 real time access to customer data and inventory. Over 24,000 companies have chosen NetSuite products to manage their businesses and it stands well above the crowd as a provider of e-Commerce solutions. To see an example of how Dylan’s Candy Bar is using SuiteCommerce to support their rapid growth click here. >> 360 Cloud Solutions has been a NetSuite Solution Provider since 2002, we are experts in helping companies build and implement SuiteCommerce to their existing NetSuite instance. CONTACT US HERE to learn how we can help your business! NetSuite Partner Club Gathering in Mexico! © Copyright 2019, 360 Cloud Solutions. All rights reserved.